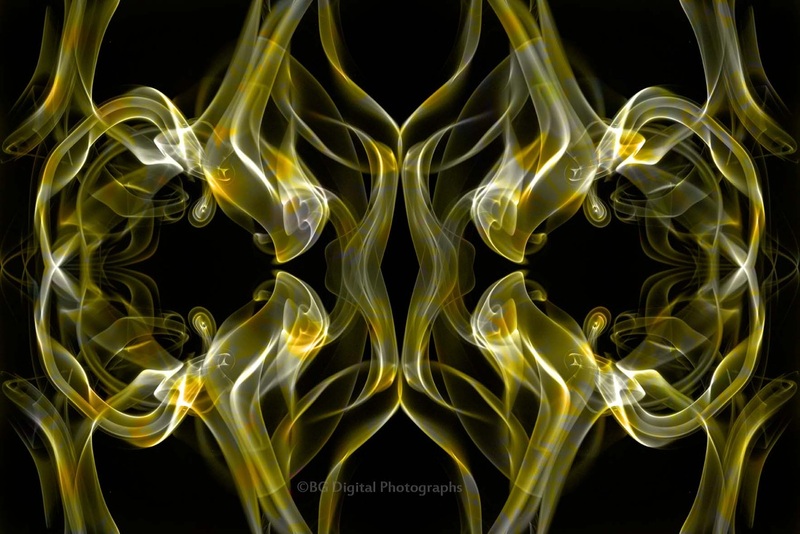 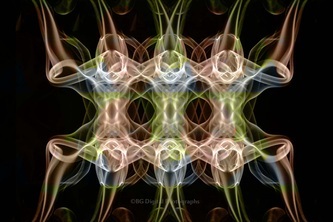 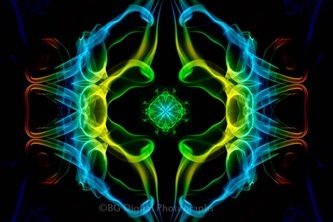 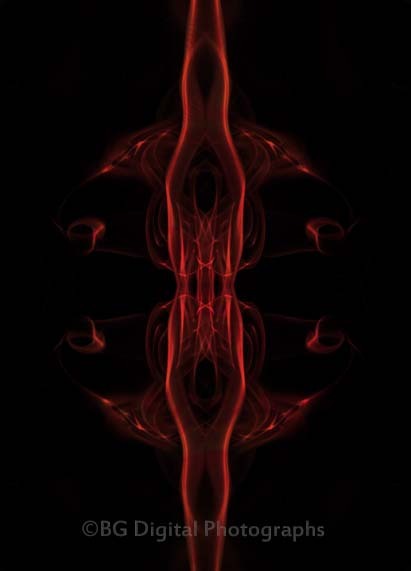 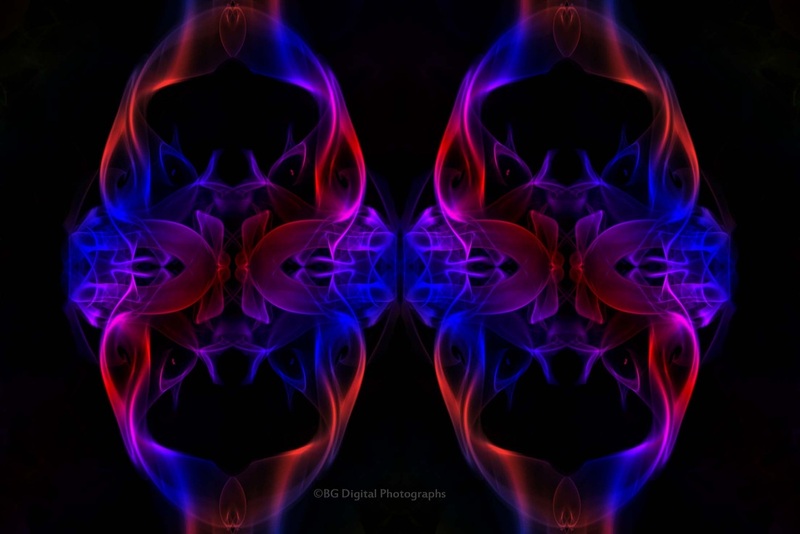 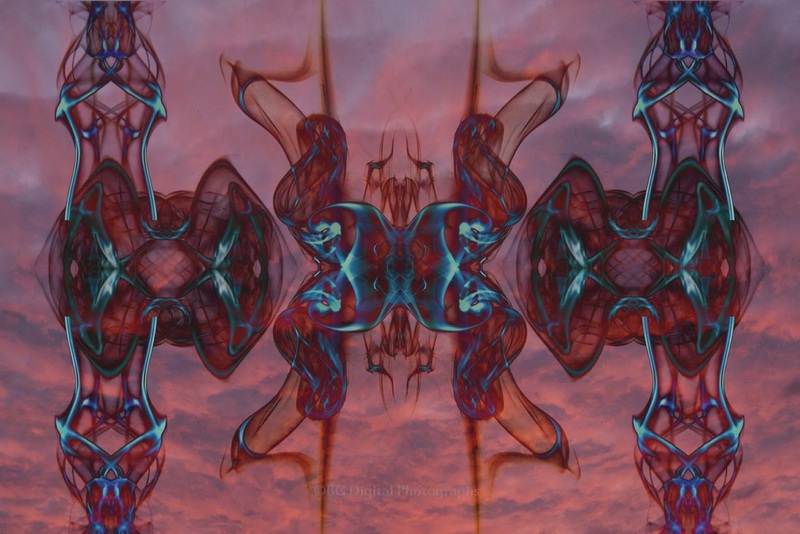 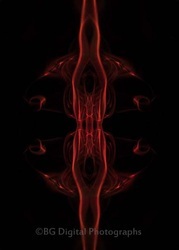 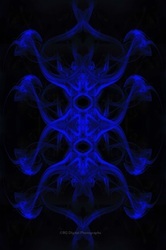 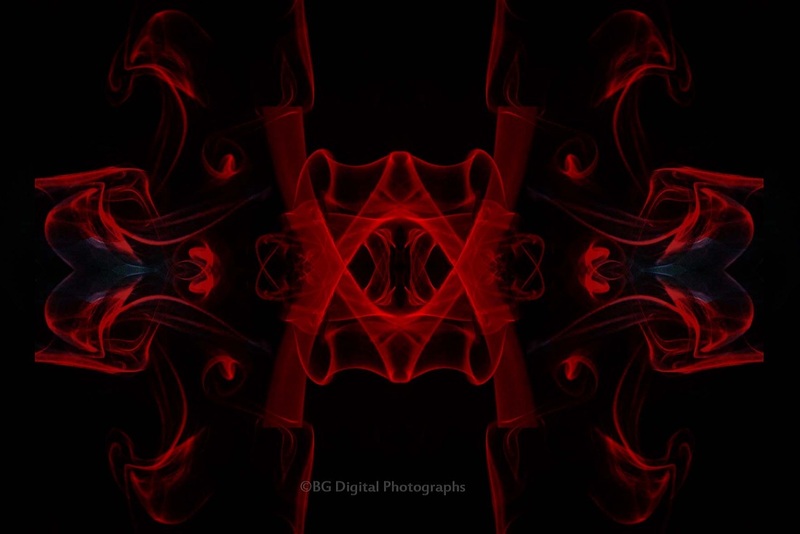 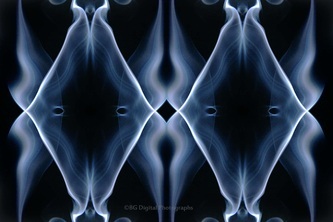 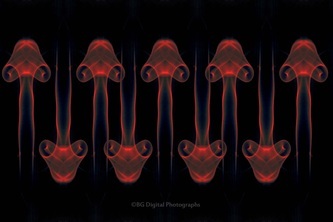 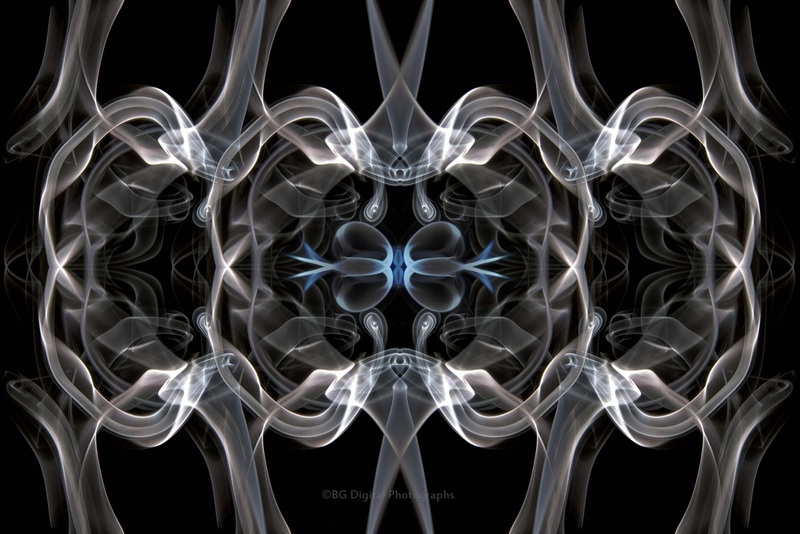 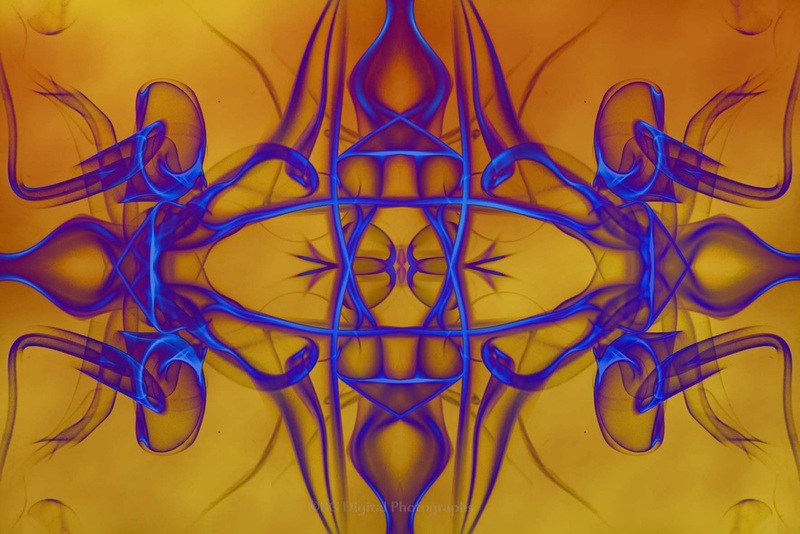 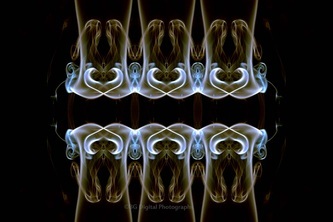 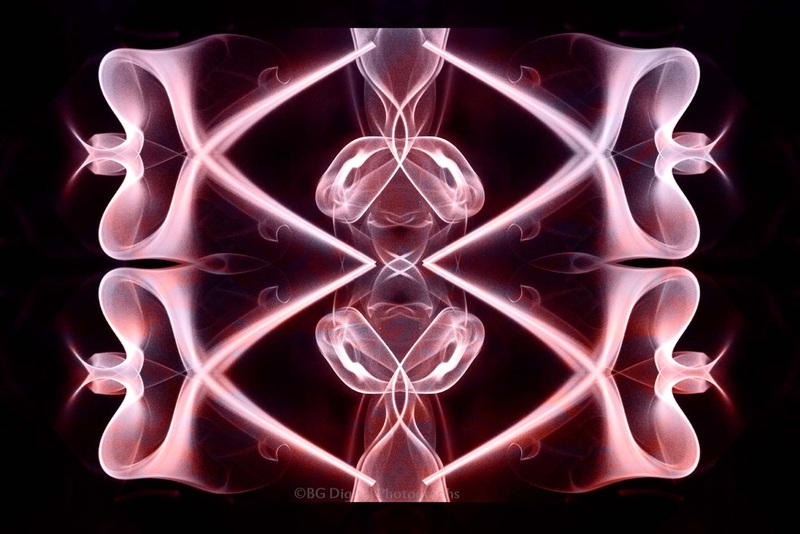 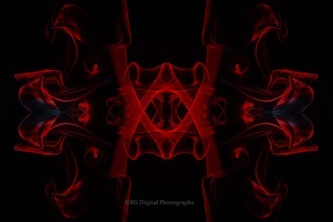 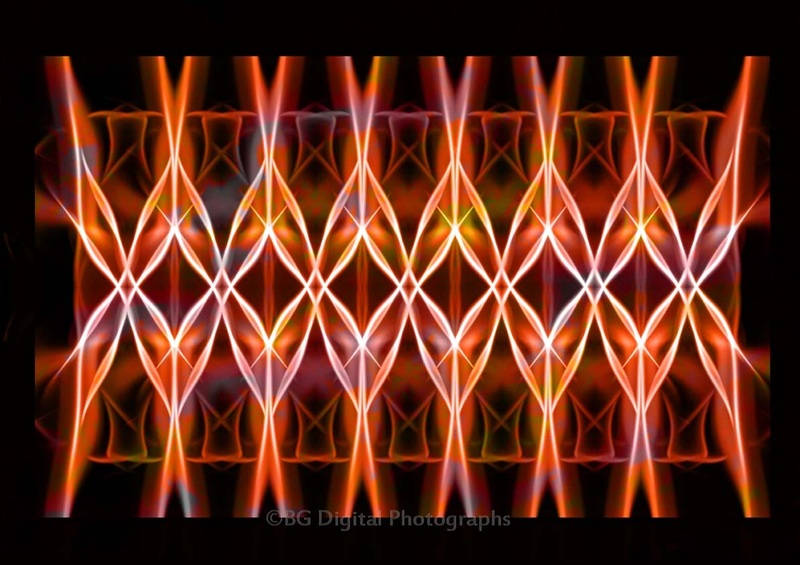 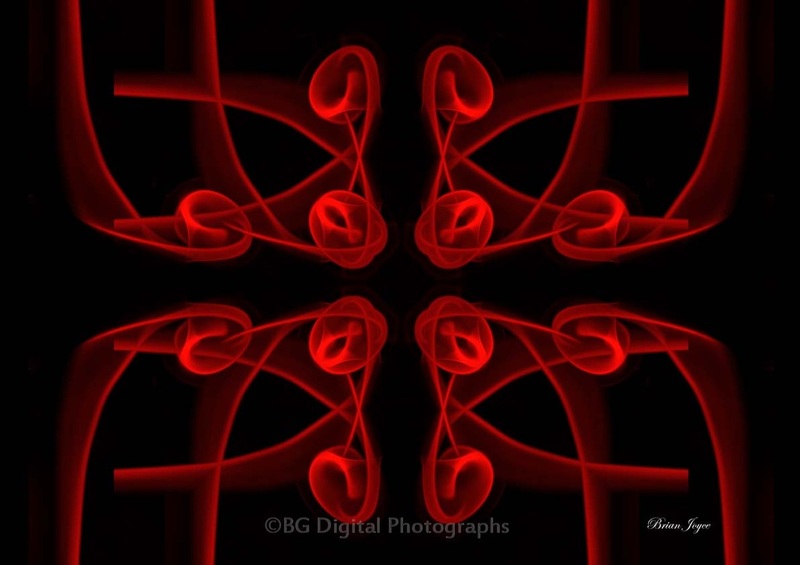 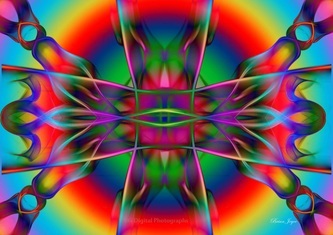 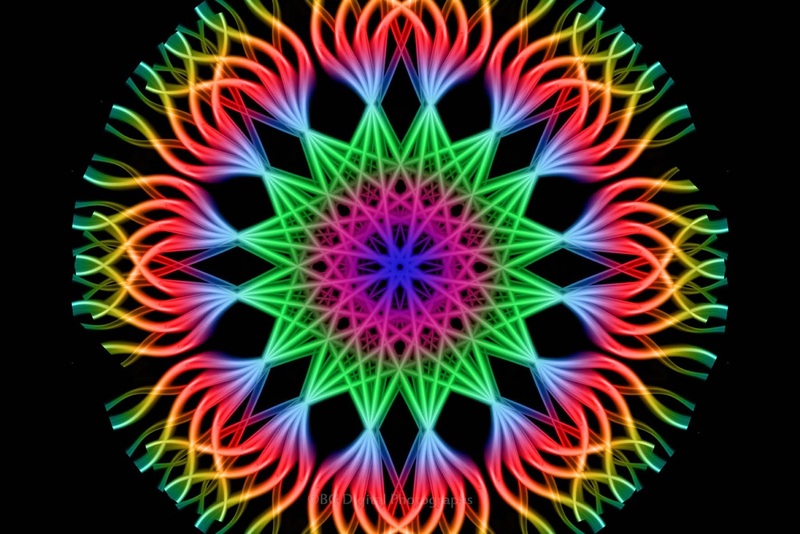 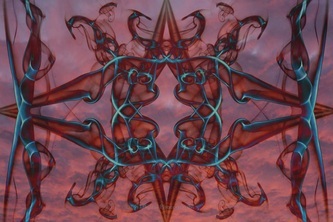 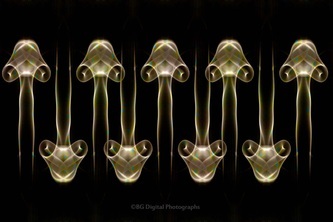 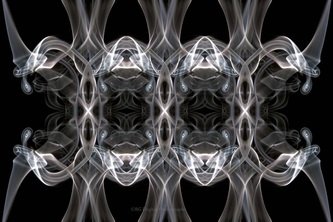 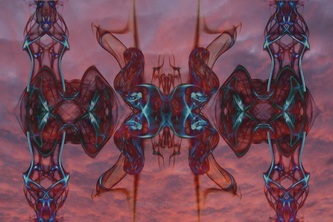 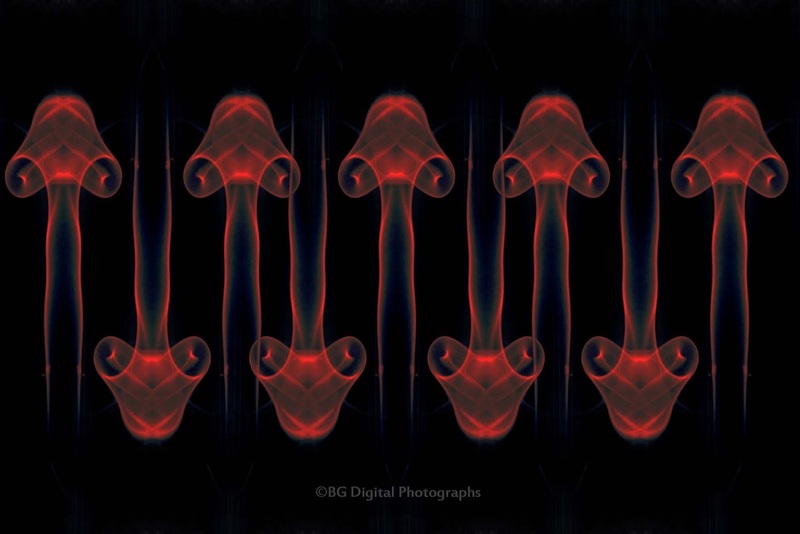 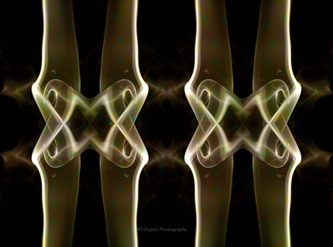 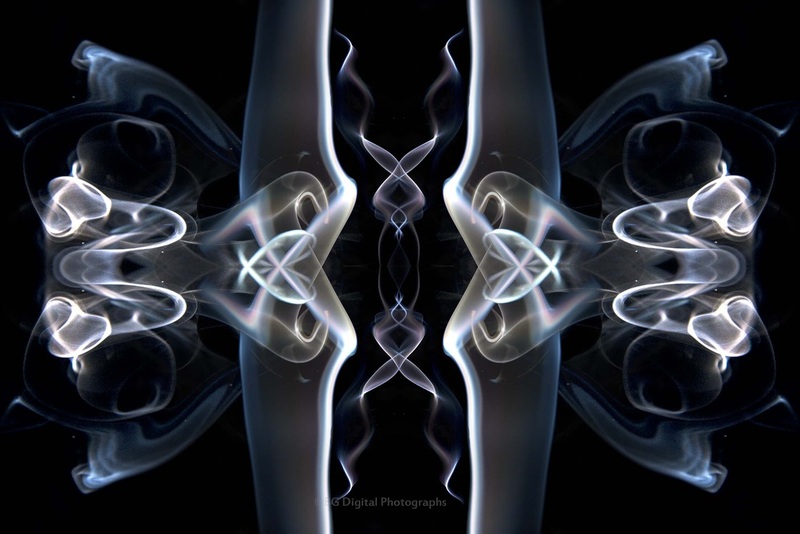 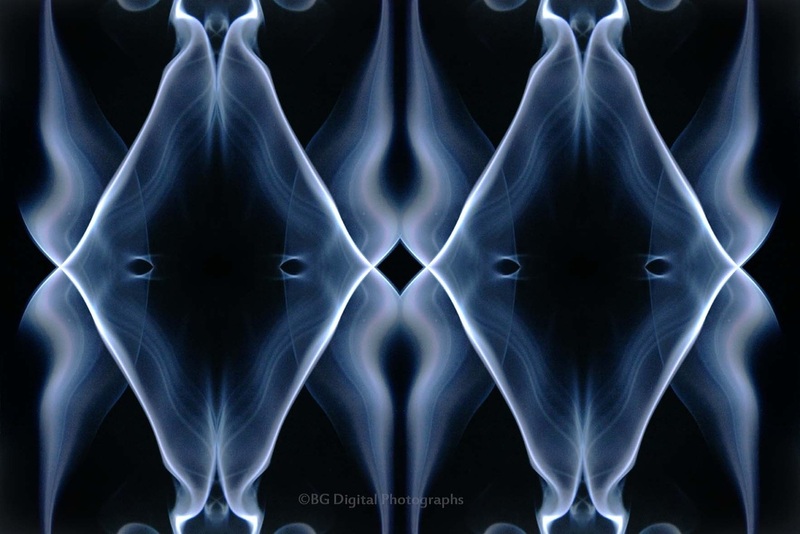 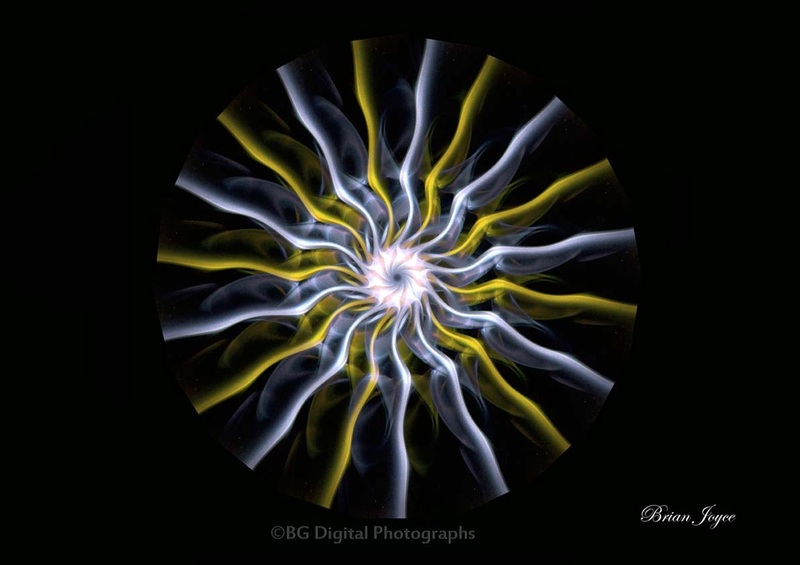 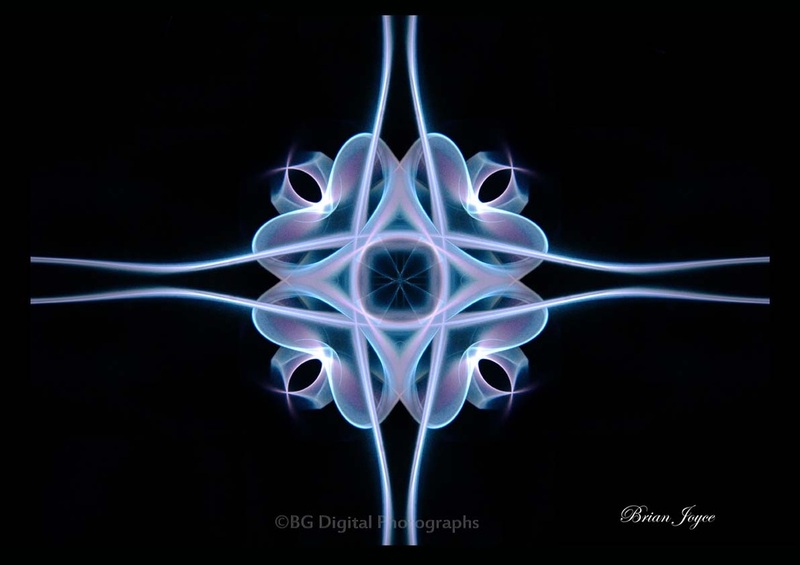 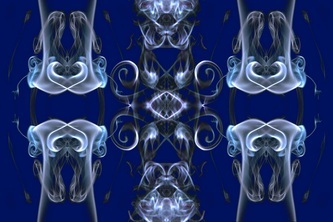 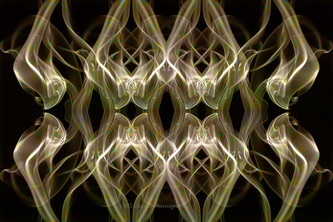 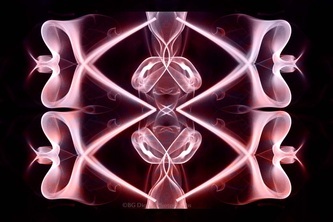 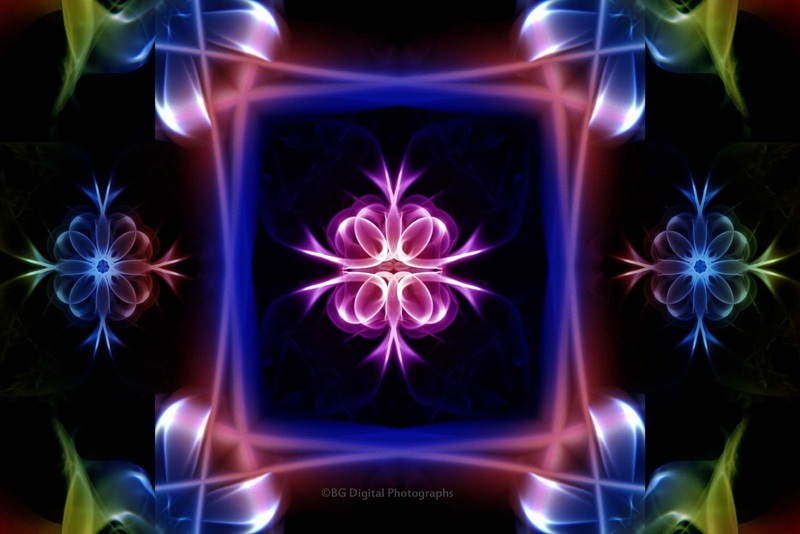 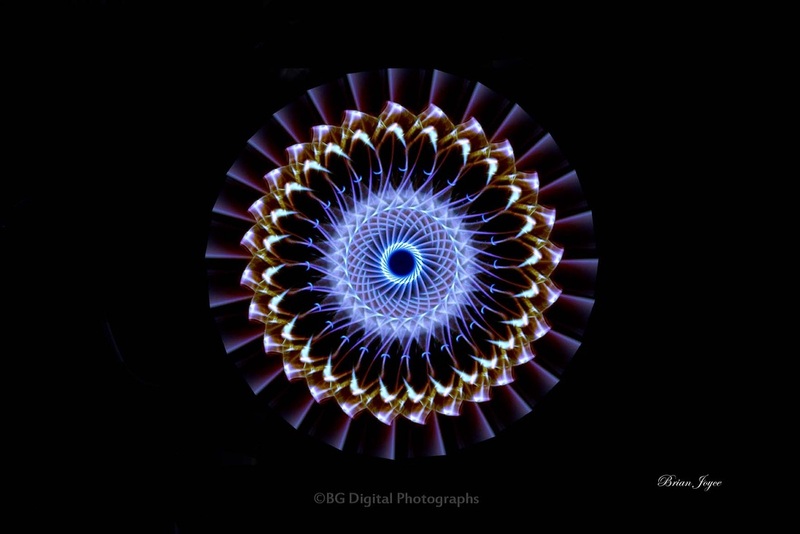 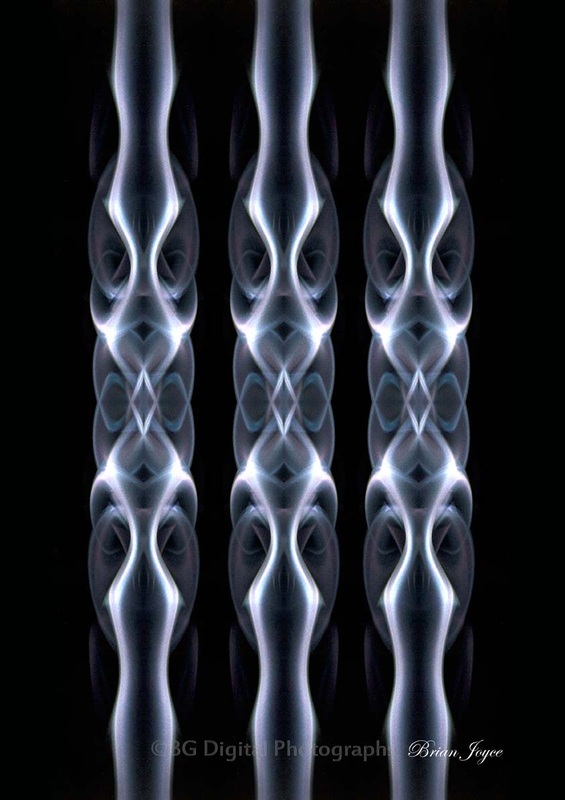 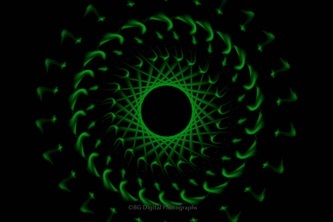 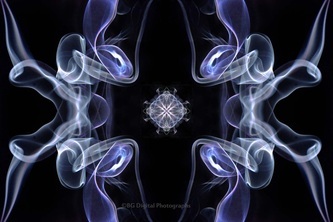 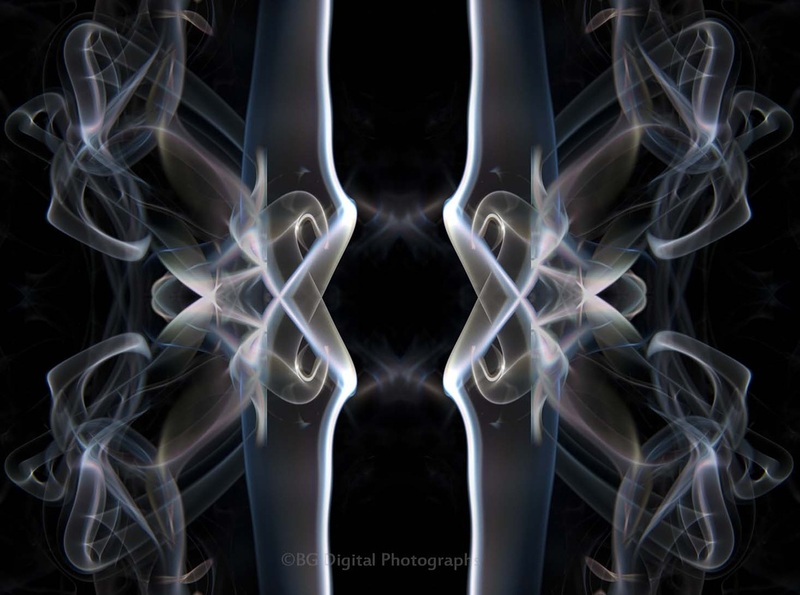 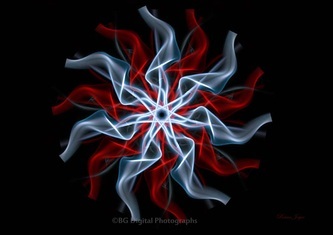 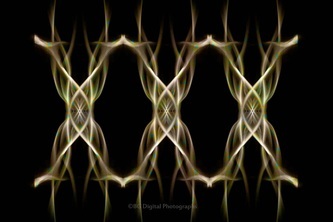 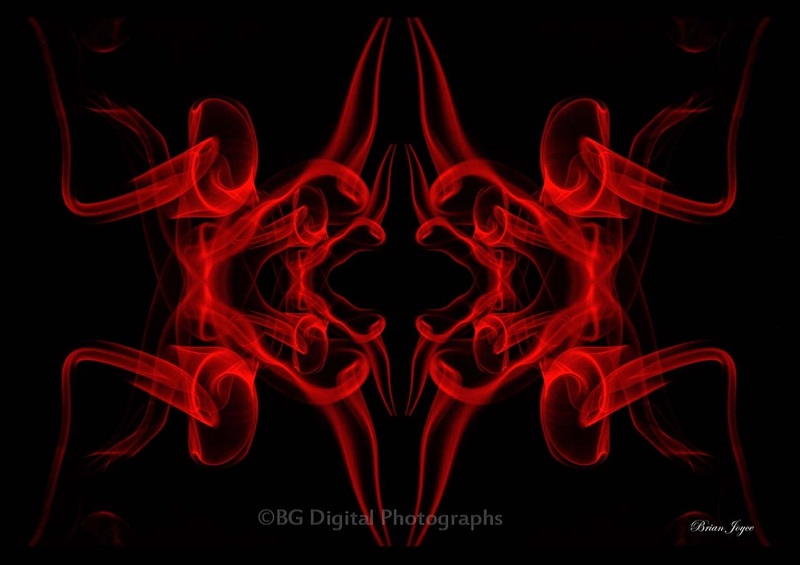 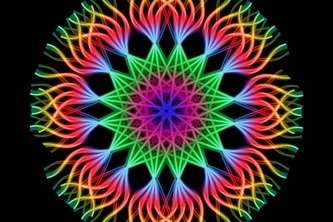 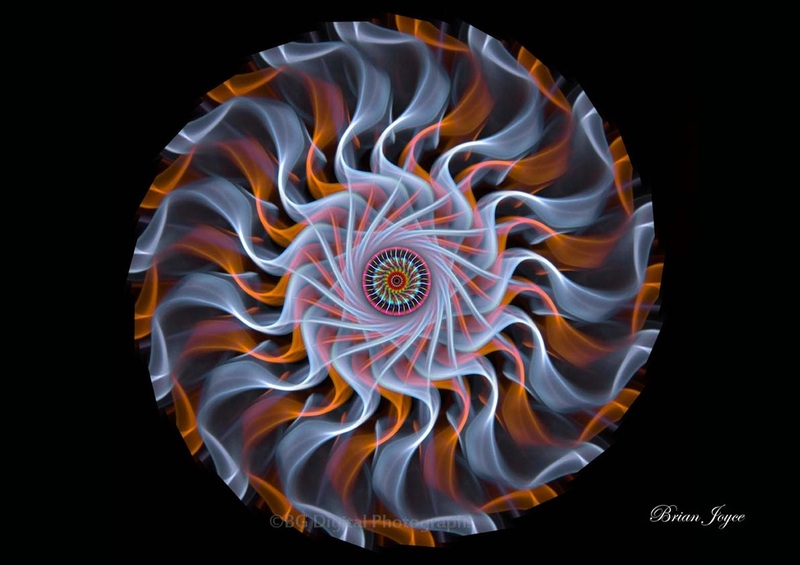 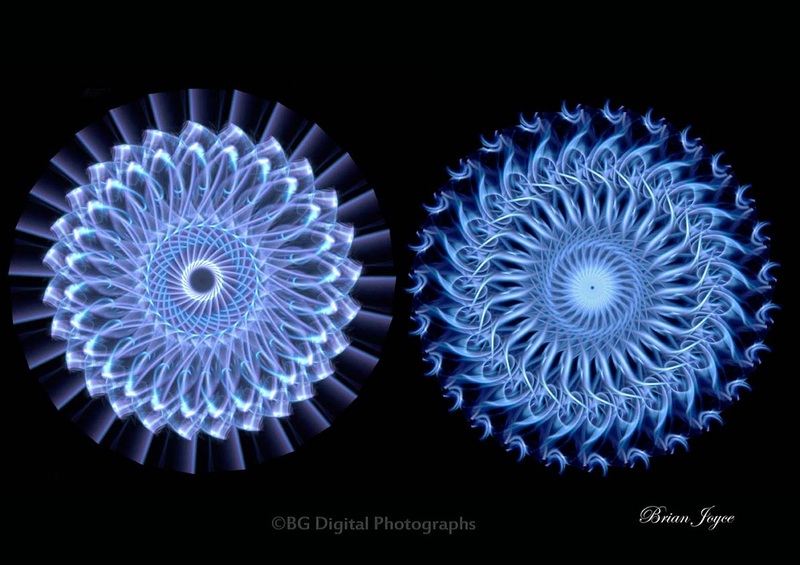 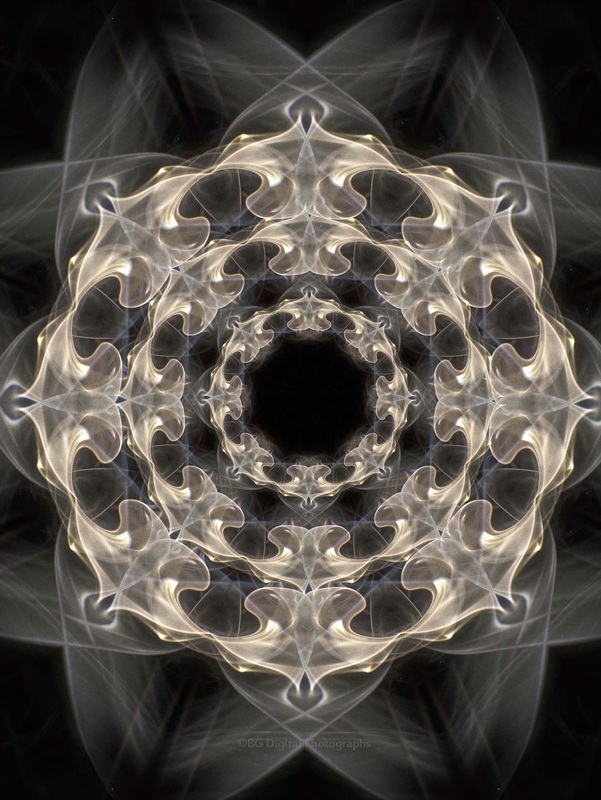 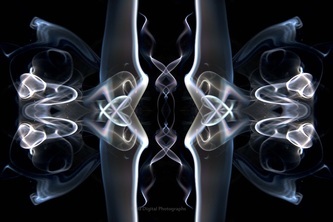 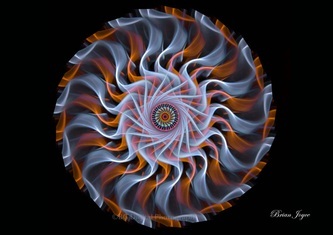 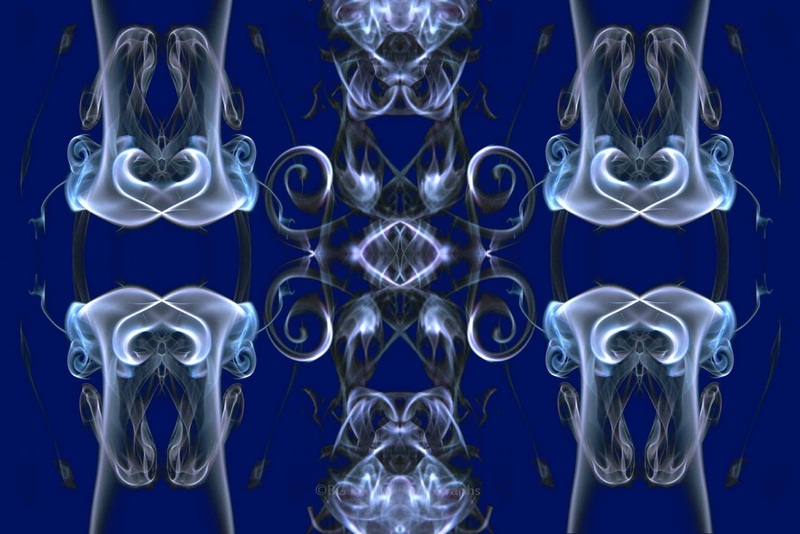 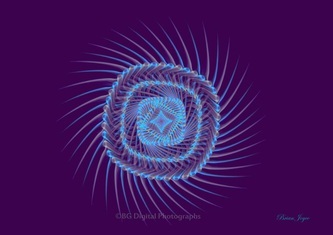 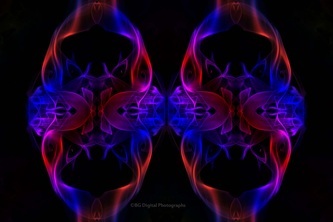 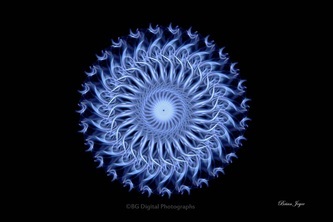 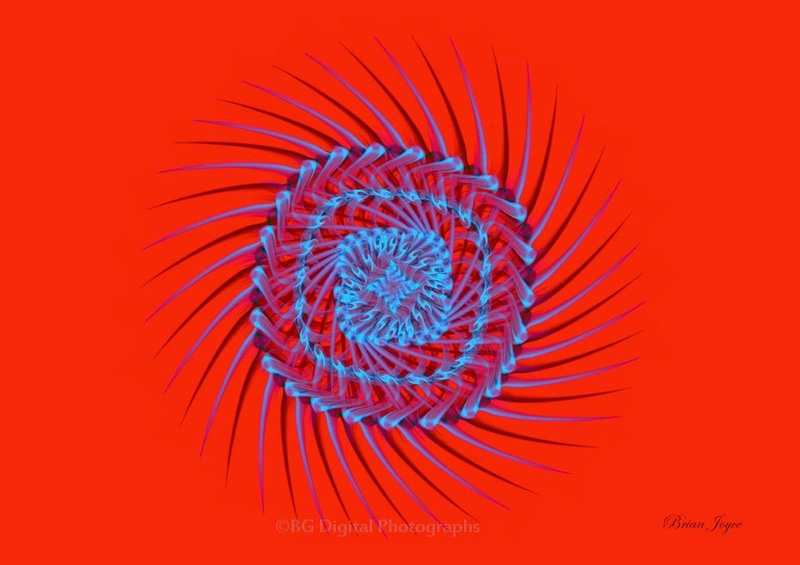 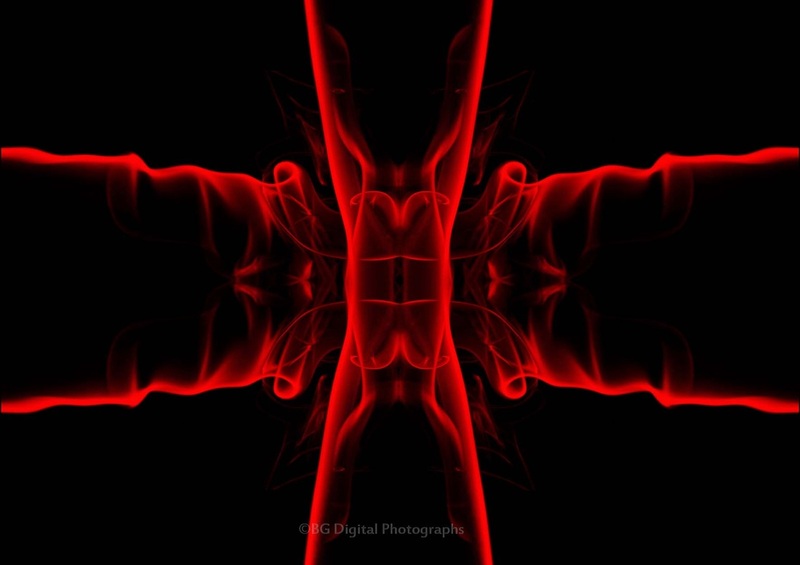 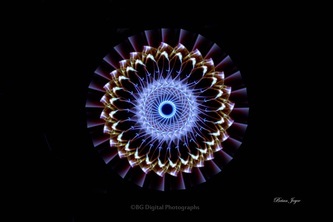 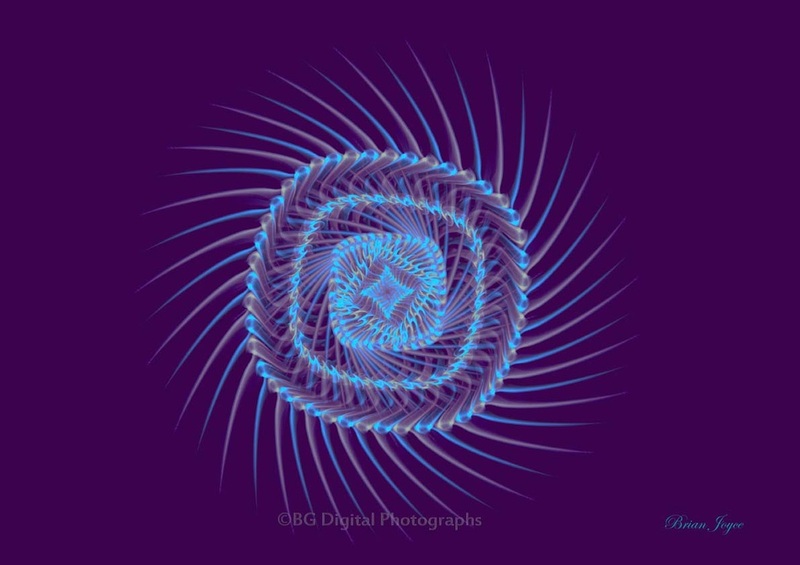 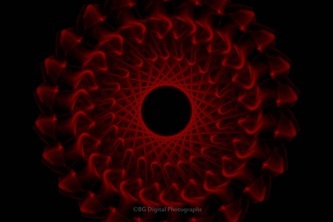 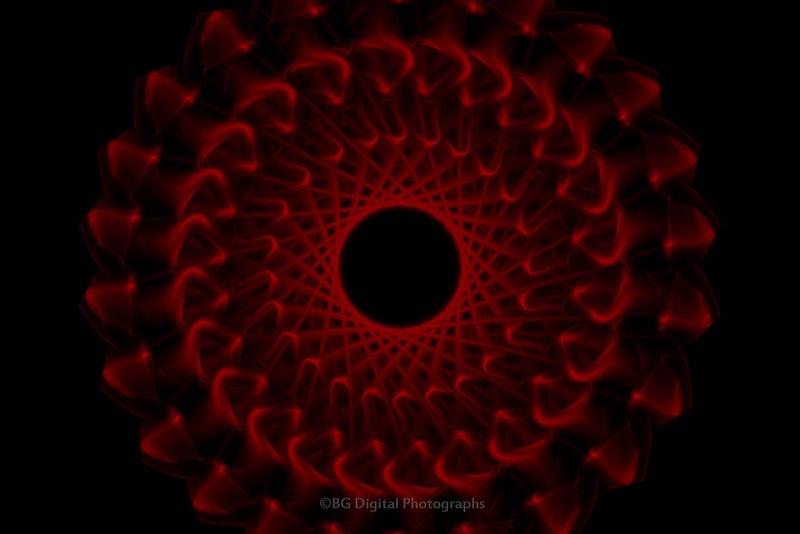 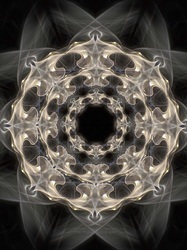 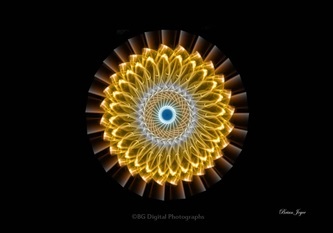 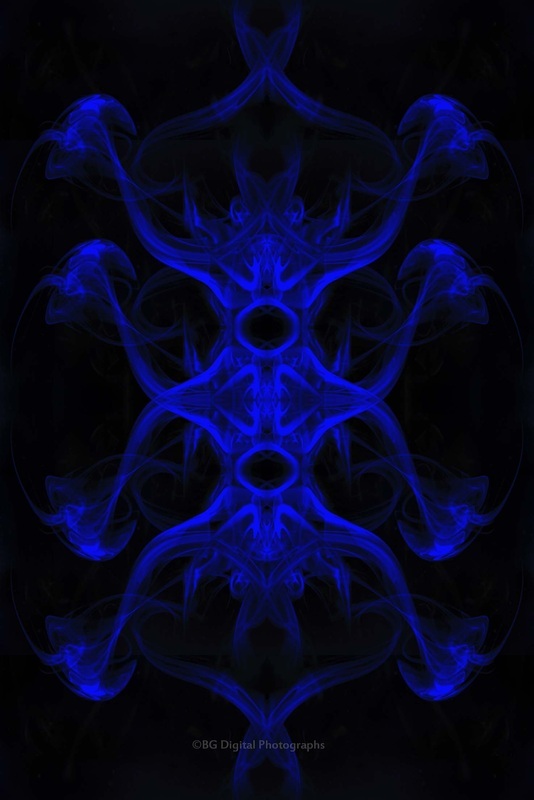 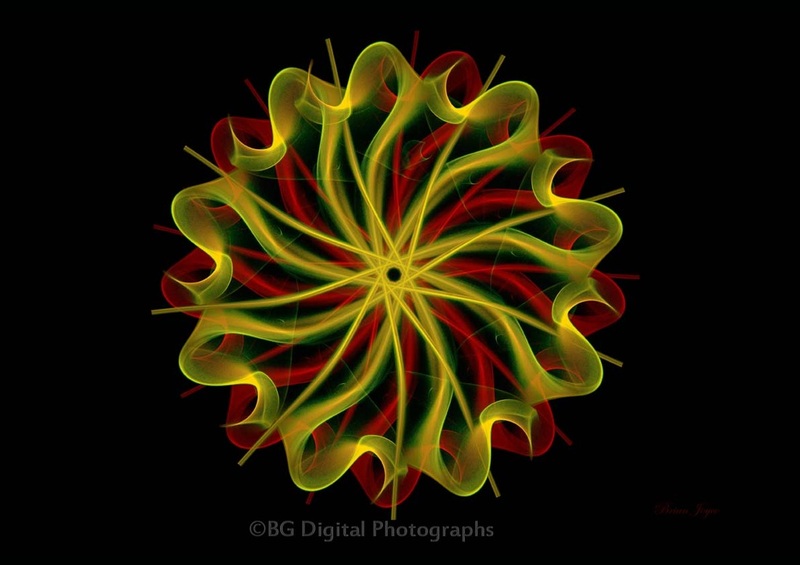 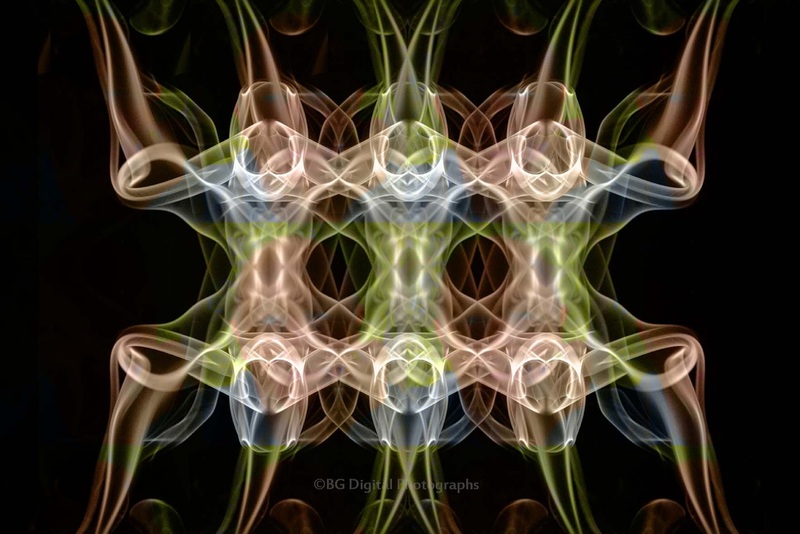 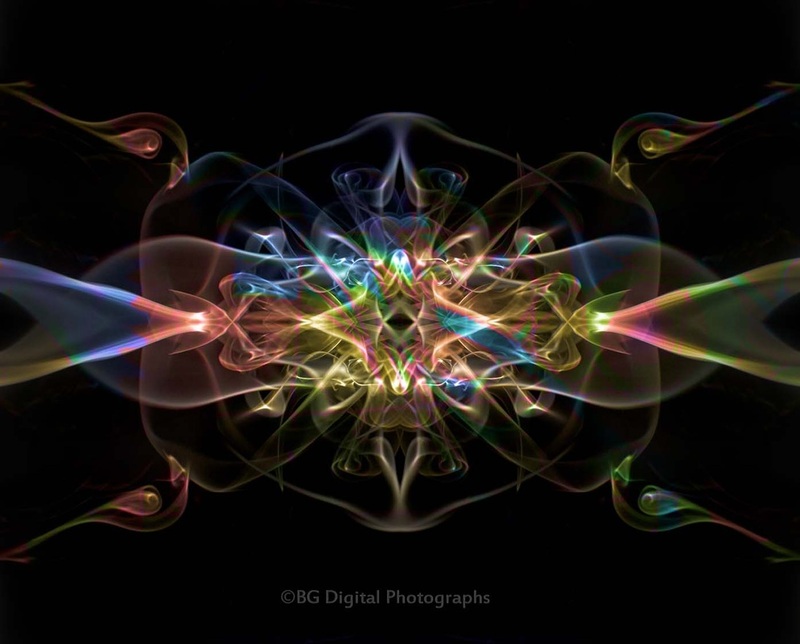 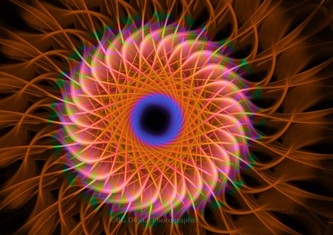 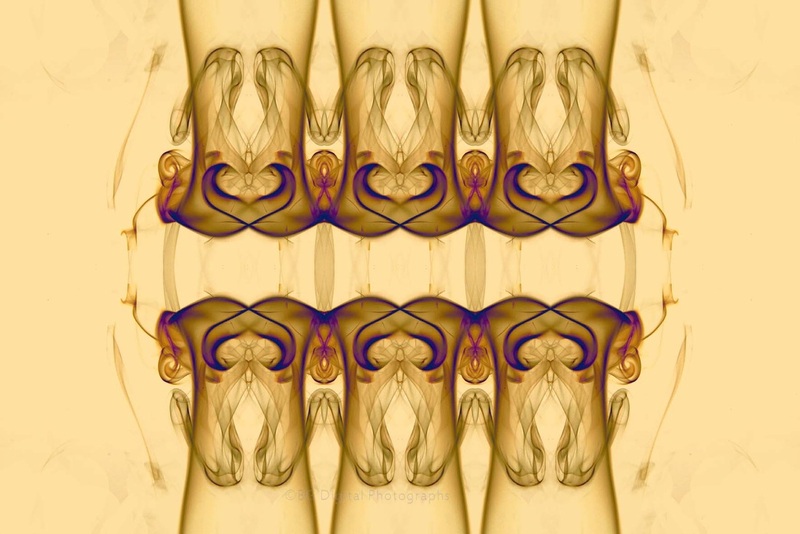 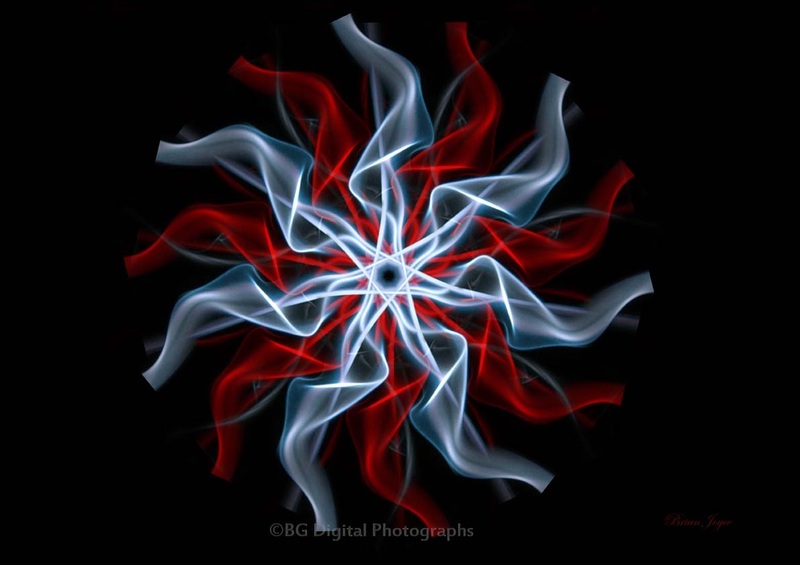 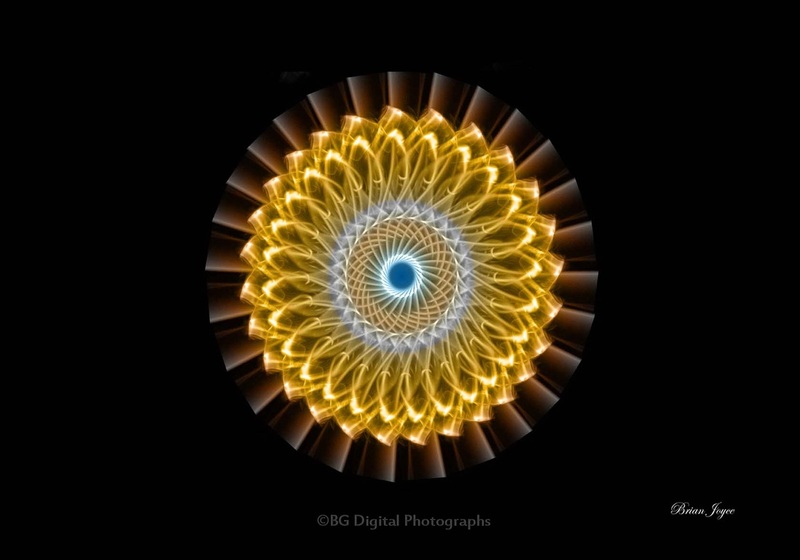 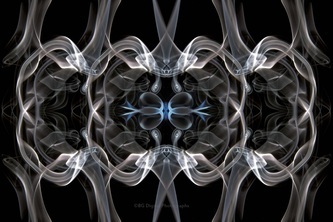 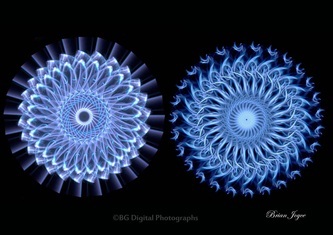 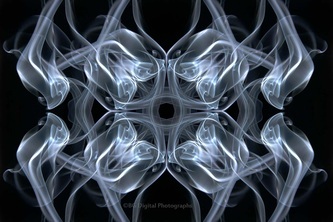 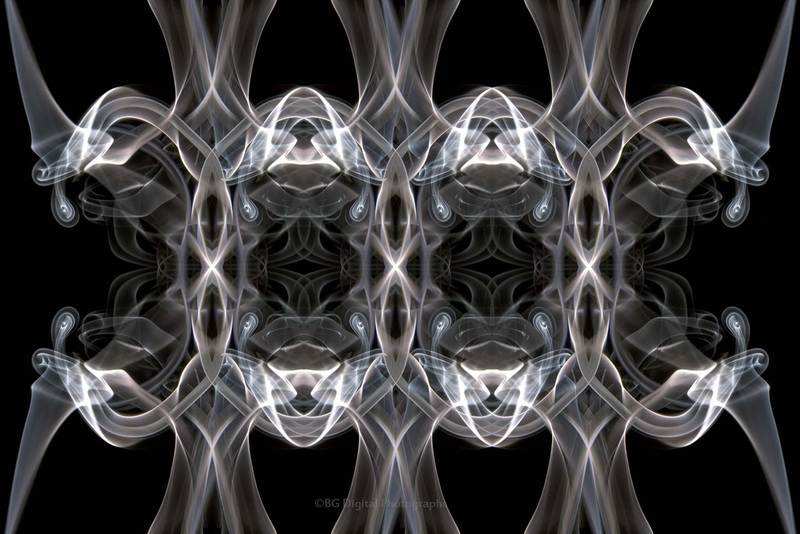 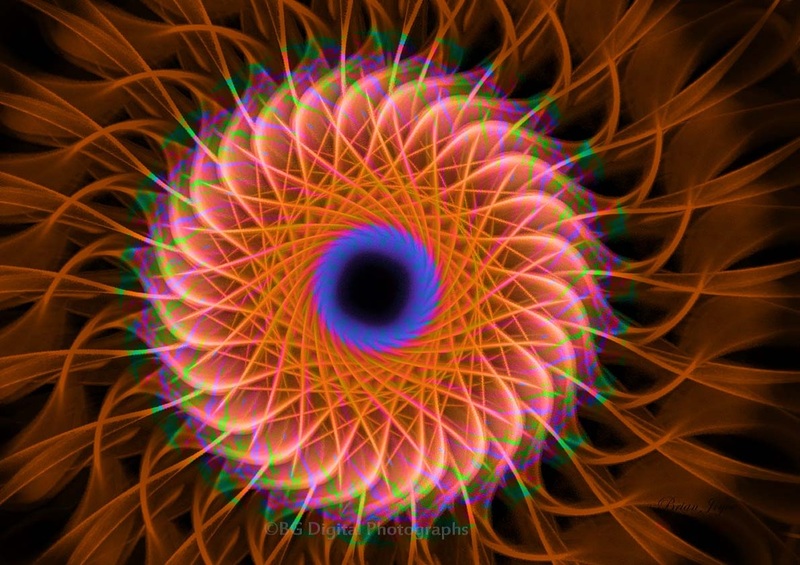 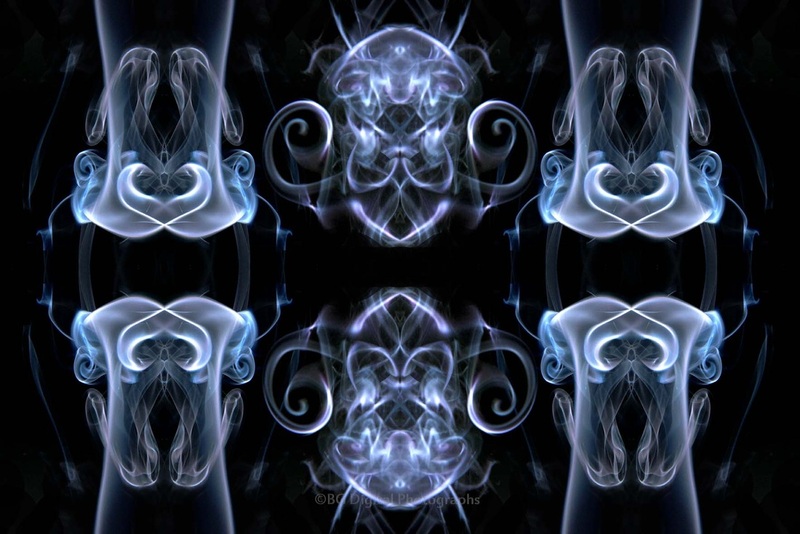 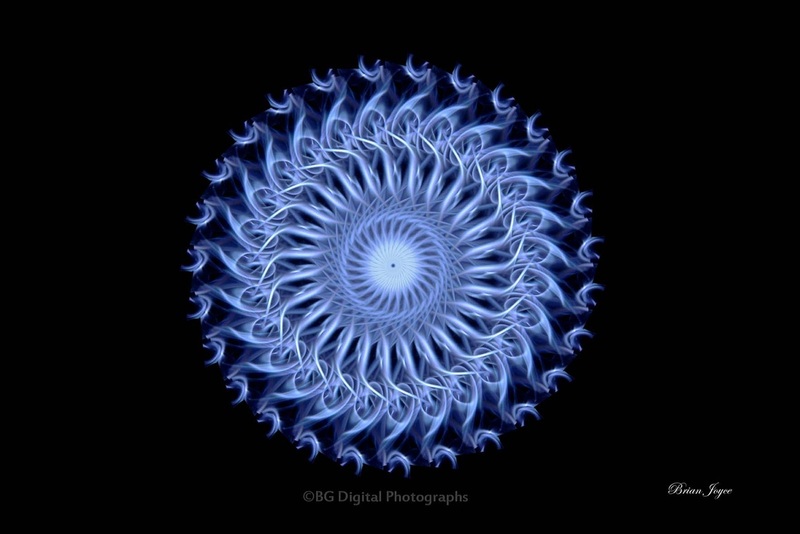 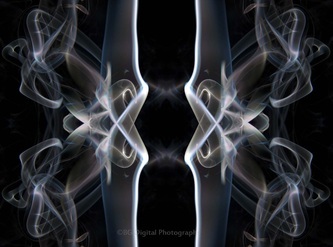 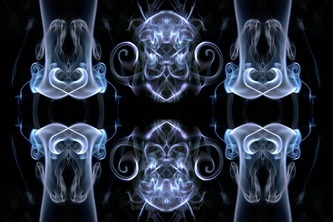 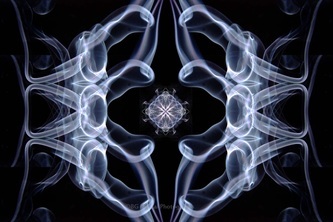 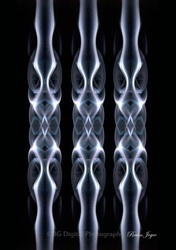 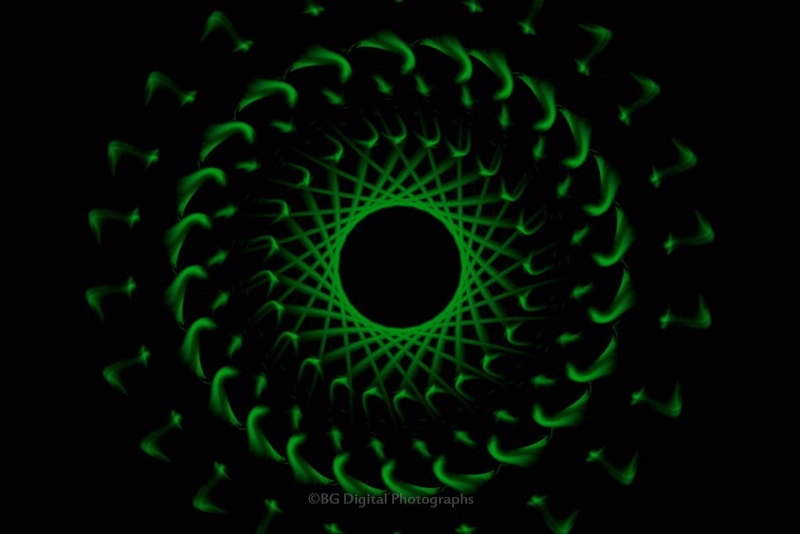 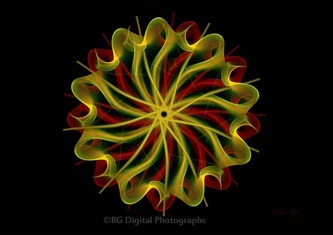 Images created by photographing smoke and then creating the patterns using Photoshop by manipulating and in some cases also colouring or adding additional images (sunsets, peacock fans, flames etc). 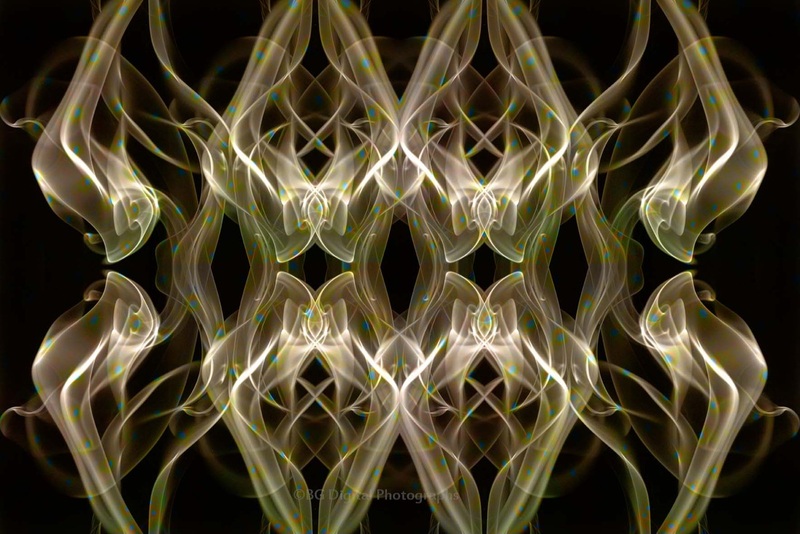 I've included some of the original smoke images below so you can see the starting points for many of the abstract constructs. Click on one of images and a slideshow will start with Next/Previous & Close options. 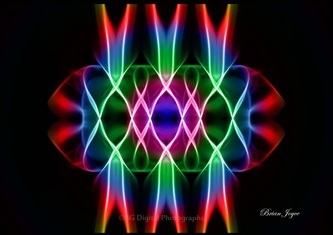 To return to the Gallery Listings, please select the link in the header above. 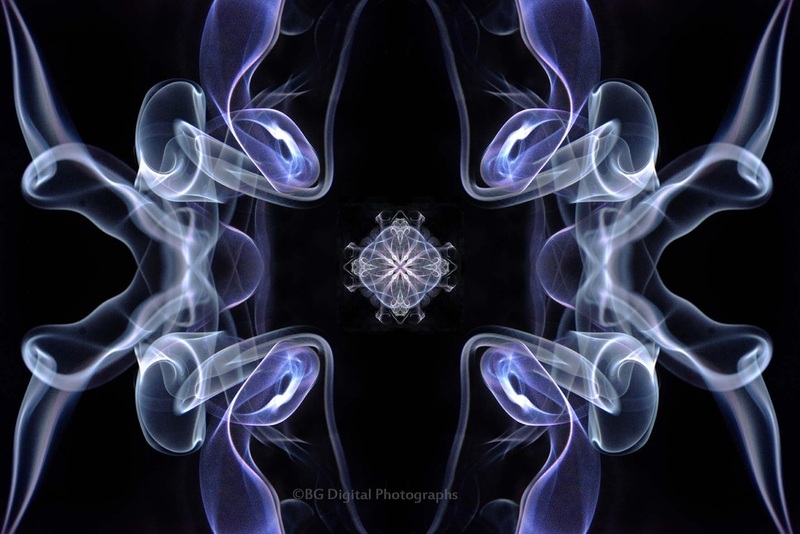 Visit Red Bubble to purchase my Smoke and Mirrors Products - see also the Purchasing page for more information or simply contact me directly via this website - here. 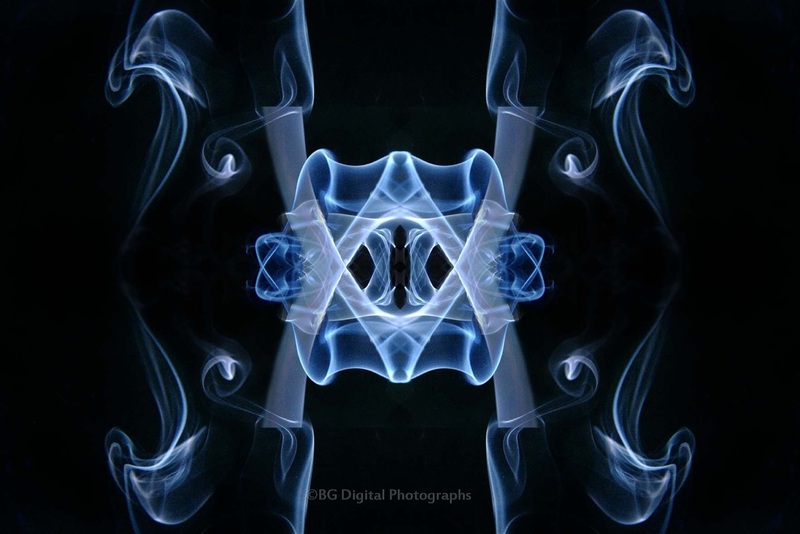 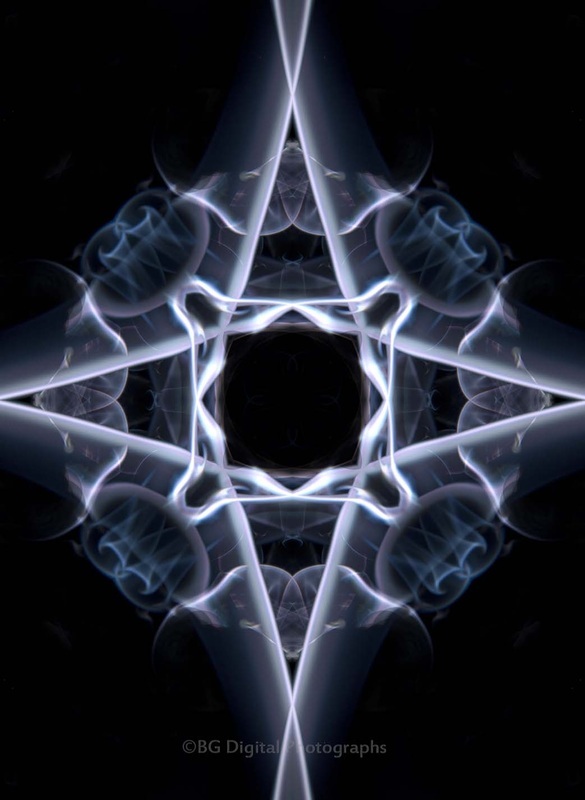 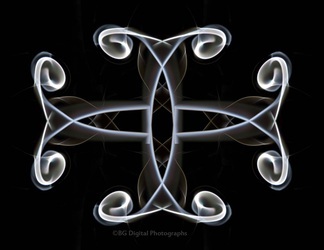 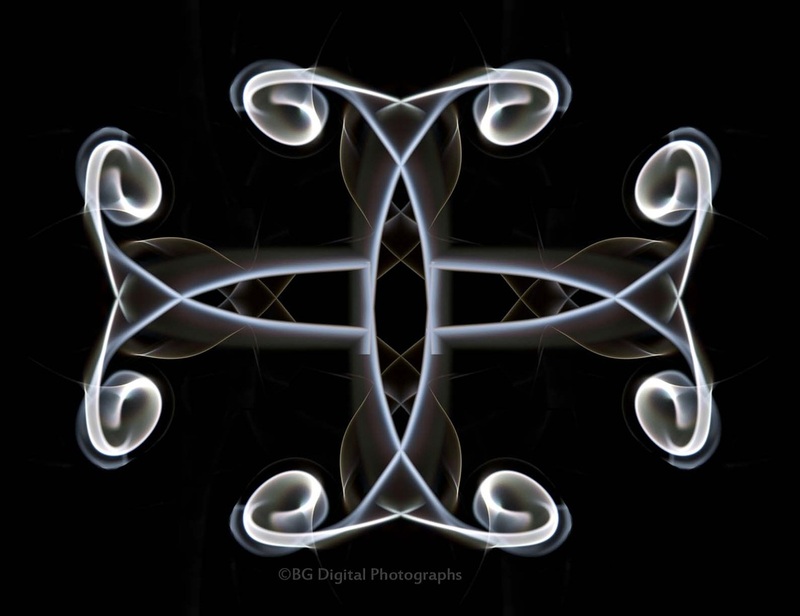 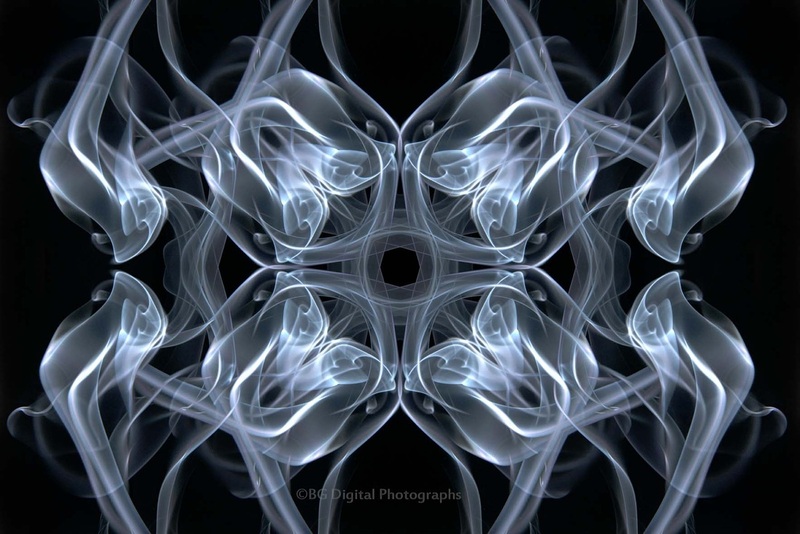 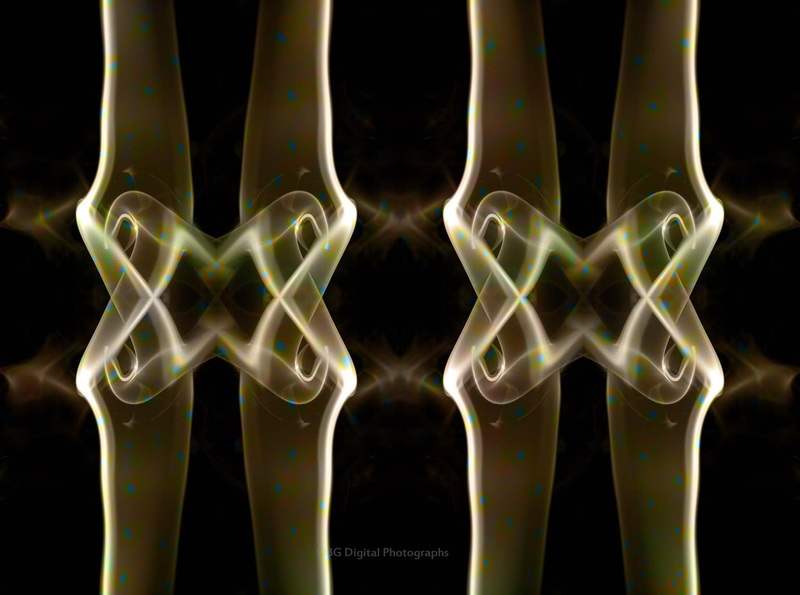 On iStock, search using the terms 'Smoke Patterns Incense' on the category of Photographs i.e. 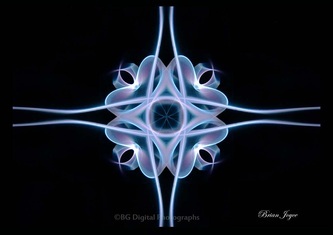 uncheck 'Illustrations' and 'Video' as search criteria and on Alamy use Advanced Search with 'Brian Joyce' as the criterion in Contributor Name. 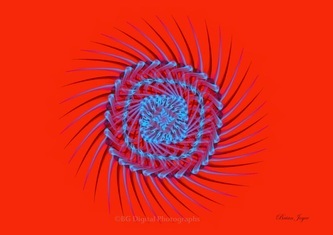 I believe my work is virtually unique and certainly on Alamy, Saatchi and iStock. 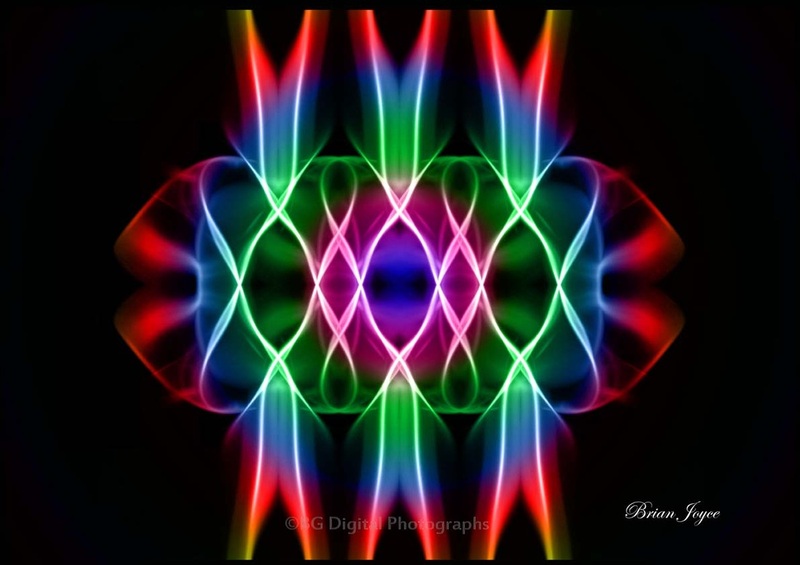 The Photographs do work very well as 7x5, A4 and A3 prints [photo or canvas] and look great on a light coloured mount and framed. 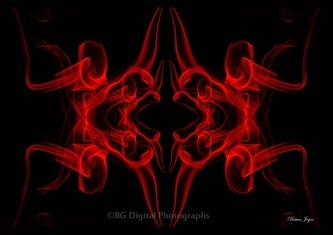 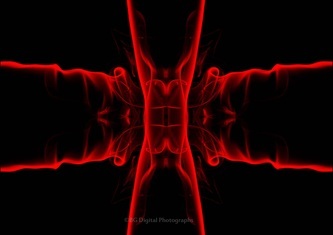 You may purchase canvas and photographic prints from my Collection displayed on Red Bubble. You select the image you would like from my Portfolio, choose the the size, the medium (print/canvas) and the background/overlap colour (when requesting canvas images) and then Saatchi Online will take your order, generate the item (canvas / photographic print), package and post it out to you. 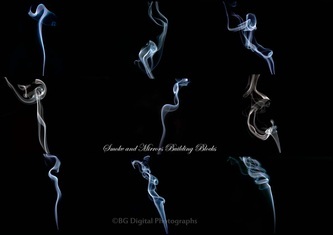 See Smoke & Mirrors Page IV (upwards) for details of Coasters as well as Cork & Glass backed placemats/ stands and Metal Print images to purchase. 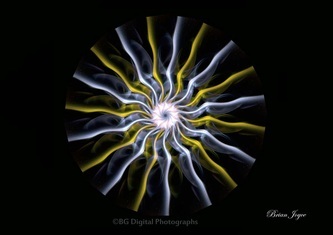 Visit the STORE page or Purchasing for more information, to view designs/samples and to make your purchase. 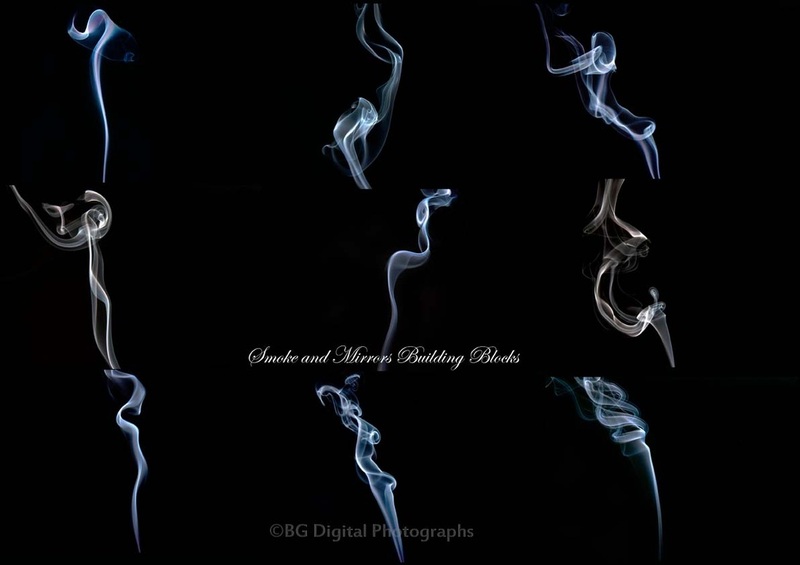 The first image below contains some of the initial smoke elements which were photographed in order to create some of the 'Smoke & Mirror images below and on the other pages listed. 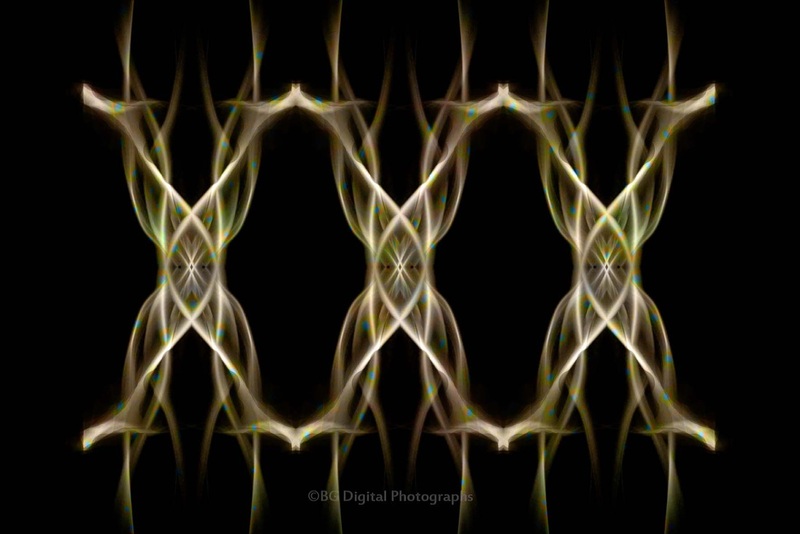 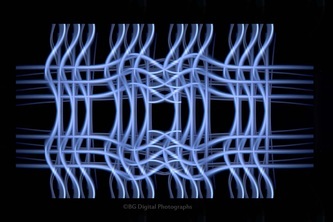 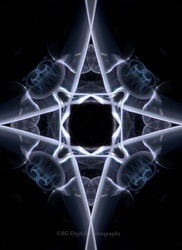 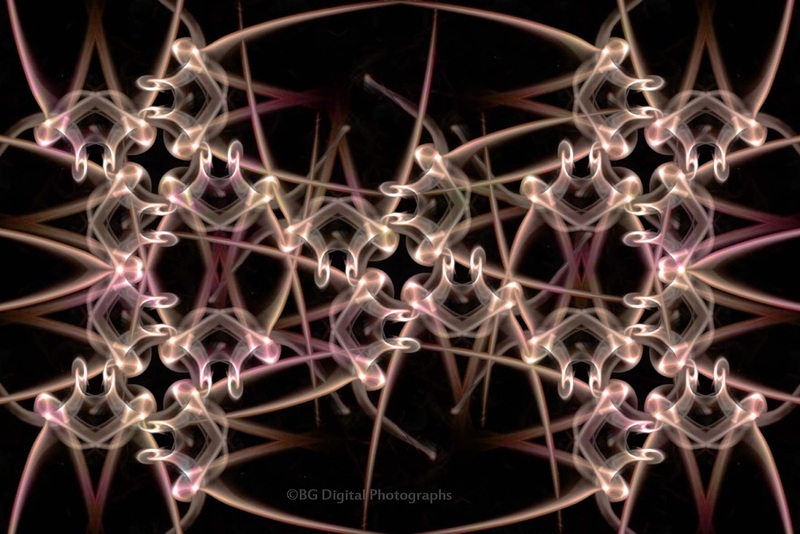 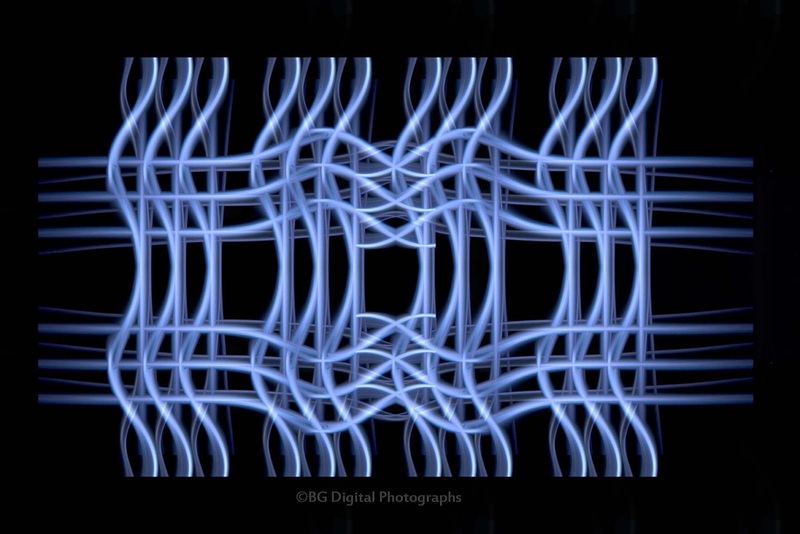 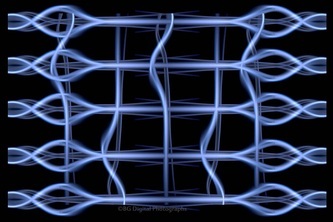 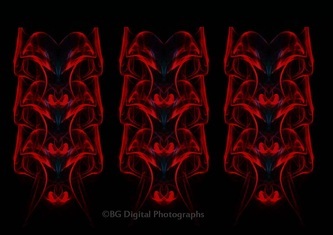 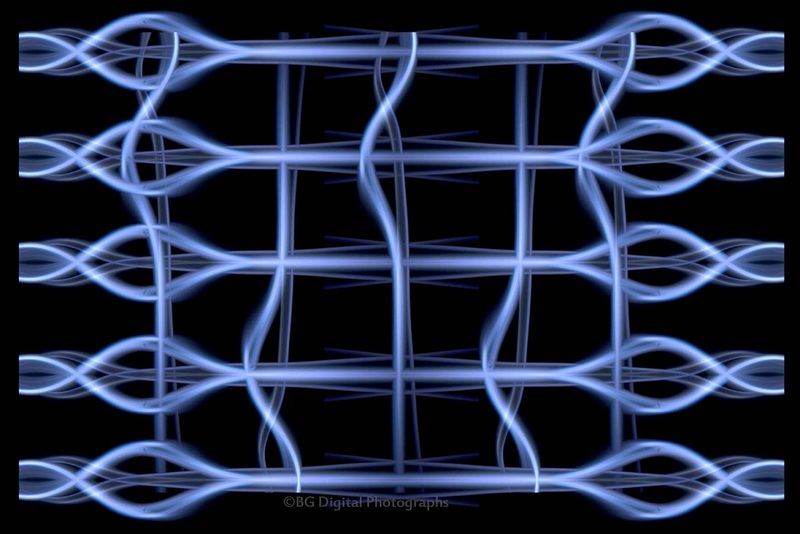 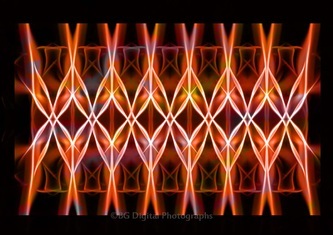 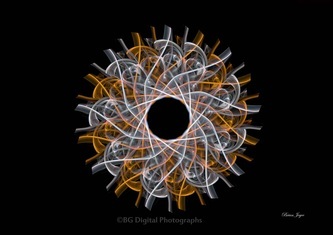 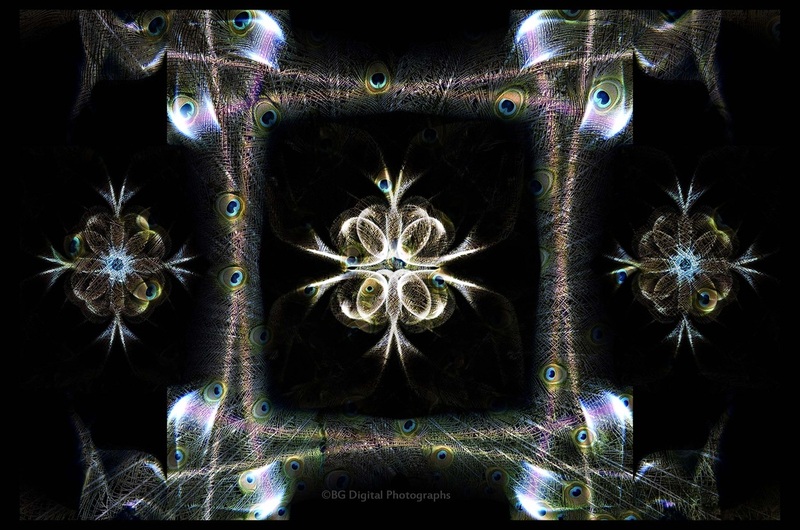 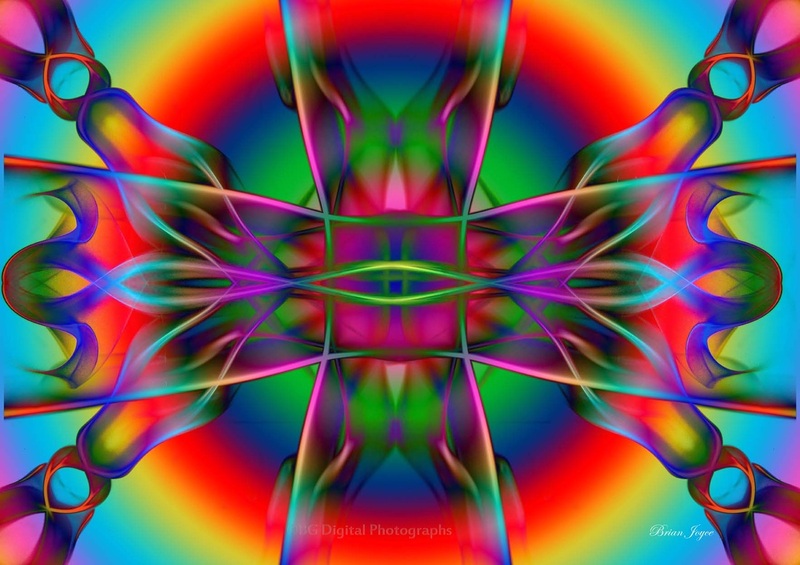 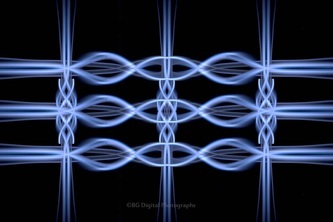 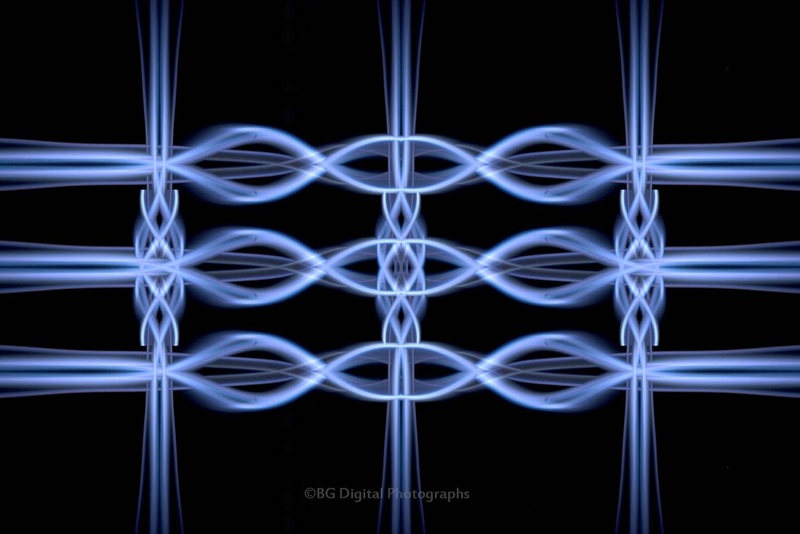 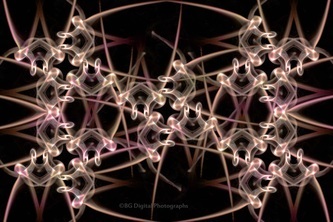 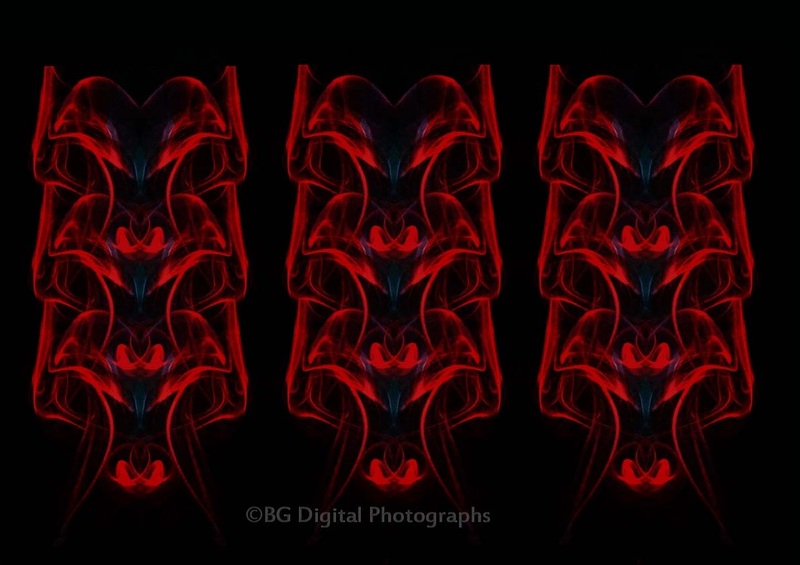 The 'Building Blocks' were manipulated in Photoshop to create the final abstract.